On May 10, 2017, Dr. Ulric Trotz, Deputy Director and Science Advisor at the Caribbean Community Climate Change Centre (CCCCC) will share the reasons behind the Caribbean’s decision to support the campaign to keep global temperature rise at 1.5 degree, as an expert at the Research Dialogue in Bonn, Germany. Dr Trotz was invited to the Climate Talks in response to the call for the scientific community to provide information about the differences between 1.5 and two-degrees change in future temperatures, and the effects on climate change. One of the objectives of the Paris Agreement -signed by 195 countries in 2016- is to limit global warming to limit it to 1.5 degrees instead of the two degrees that has been proposed. The Caribbean and other small island states are proposed the former, because many small island states are already experiencing climate change and at two degrees, many others would be inundated by rising seas. Mr Carlos Fuller, International and Regional Liaison Officer of the Centre is also attending the Talks as a member of the Belize delegation. He is currently the Chair of the Subsidiary Body for Scientific and Technological Advise (SBSTA) which is convening its 46th session. The Subsidiary Body for Implementation (SBI) and the Ad Hoc Working Group on the Paris Agreement (APA) are also holding their sessions in Bonn. The focus of these Climate Change Talks is to further the implementation of the Paris Agreement by drafting the so-called “rulebook” to guide its implementation. Application of the ‘rulebook’ will require decisions on the transparency reporting guidelines, accounting, cooperative approaches of both market and non-market natures, nationally determined contributions (NDCs), and their means of implementation which include the provision and reporting of finance provided and received, technology development and transfer and capacity building. The standing issues on the SBSTA and SBI agendas are also being considered which include issues related to adaptation, mitigation, agriculture, land use change and forestry and response measures. 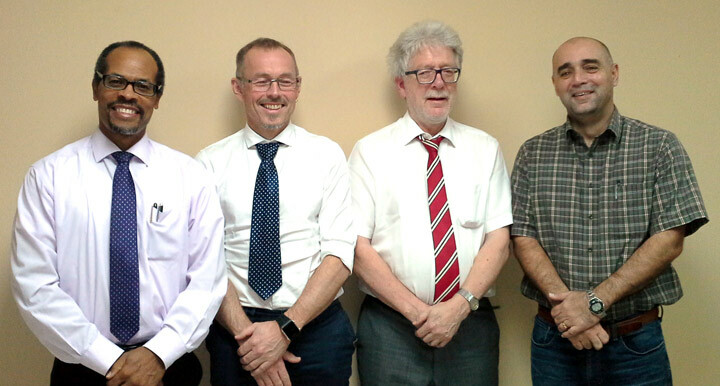 The Centre also organized a side event on May 8 to showcase its collaboration as part of a consortium to provide advice on the development of the transparency framework under the Paris Agreement. 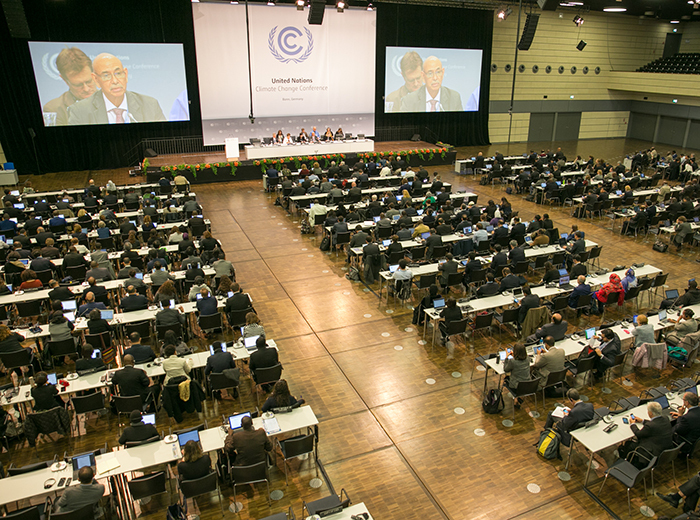 The Bonn Climate Change Talks commenced on Monday 8 May and will conclude on Thursday 18 May. The talks will set the stage for the 23rd Conference of the Parties (COP 23) which will be convened in Bonn in November. COP 23 will be held under the Presidency of Fiji and will mark the first occasion in which a Small Island Developing State (SIDS) holds the Presidency of the COP. How do agri-food systems contribute to climate change? February 25, 2015 9:20 am / 1 Comment on How do agri-food systems contribute to climate change? Agriculture and food security are exposed to impacts and risks related to the changing climate in several ways. On the other hand, agriculture and food production activities are also responsible for part of the greenhouse gas emissions that in turn cause climate change. According to the latest conclusions by the Intergovernmental Panel on Climate Change, agriculture, together with deforestation and other human actions that change the way land is used (codename: AFOLU, Agriculture, Forestry and Other Land Use), accounts for about a quarter of emissions contributing to climate change. GHG emissions from farming activities consist mainly of non-CO2 gases: methane (CH4) and nitrous oxide (N2O) produced by bacterial decomposition processes in cropland and grassland soils and by livestock’s digestive systems. The latest estimates released in 2014 by the UN Food and Agriculture Organization [pdf] showed that emissions from crop and livestock production and fisheries have nearly doubled over the past fifty years, from 2.7 billion tonnes CO2e in 1961 to more than 5.3 billion tonnes CO2e in 2011. During the last ten years covered by FAO data (2001-2011) agricultural emissions increased by 14 percent (primarily in developing countries that expanded their agricultural outputs), while almost in the same years (2001-2010) net GHG emissions due to land use change and deforestation decreased by around 10 percent (due to reduced levels of deforestation and increases in the amount of atmospheric carbon removed from the atmosphere as a result of carbon sequestration in forest sinks). The current situation, as highlighted by a recent study led by FAO and published in Global Change Biology, sees farming activities more responsible for climate pollution than deforestation. Even thought emissions from agriculture and land use change are growing at a slower rate than emissions from fossil fuels, emissions reduction achieved thanks to better forest and soil management are cancelled out by a more intensive and energy-consuming food production systems. The FAO estimated that without increased efforts to address and reduce them, GHG emissions from the sector could increase by an additional 30 percent by 2050. In a recent study published on Nature Climate Change, scientists pointed out that “the intensification of agriculture (the Green Revolution, in which much greater crop yield per unit area was achieved by hybridization, irrigation and fertilization) during the past five decades is a driver of changes in the seasonal characteristics of the global carbon cycle”. As shown in the graph below, livestock-related emissions from enteric fermentation and manure contributed nearly two-thirds of the total GHG agricultural emissions produced in the last years, with synthetic fertilizers and rice cultivation being the other major sources. According to another report by FAO (“Tackling climate change through livestock”, accessible here in pdf), the livestock sector is estimated to emit 7.1 billion tonnes CO2-eq per year, with beef and cattle milk production accounting for the majority of the sector’s emissions (41 and 19 percent respectively). Emission intensities (i.e. emissions per unit of product) are highest for beef (almost 300 kg CO2-eq per kilogram of protein produced), followed by meat and milk from small ruminants (165 and 112kg CO2-eq.kg respectively). Cow milk, chicken products and pork have lover global average emission intensities (below 100 CO2-eq/kg). However, emission intensity widely varies at sub-global level due to the different practices and inputs to production used around the world. According to FAO, the livestock sector plays an important role in climate change and has a high potential for emission reduction. Together with increasing conversion of land to agricultural activities and the use of fertilizers, increasing energy use from fossil fuels is one of the main drivers that boosted agricultural emissions in the last decades. FAO estimated that in 2010 emissions from energy uses in food production sectors (including emissions from fossil fuel energy needed i.e. to power machinery, irrigation pumps and fishing vessels) amounted to 785 million tonnes CO2e. FAO latest data show that in the past two decades around 40 percent of GHG agricultural outputs (including emissions from energy use) are based in Asia. The Americas has the second highest GHG emissions (close to 25 percent), followed by Africa, Europe and Oceania. Agricultural emissions plus energy by continent, average 1990-2012. FAOSTAT database. According to FAO, since 1990 the top ten emitters are: China, India, US, Brazil, Australia, Russia, Indonesia, Argentina, Pakistan and Sudan. The need for climate-smart agriculture and food production systems becomes even more compelling when considering the shocking level of waste within the global food system. According to the first FAO study to focus on the environmental impacts of food wastage, released in 2013 (accessible here in pdf), each year food that is produced and gone to waste amounts to 1.3 billion tonnes. Food wastage’s carbon footprint is estimated at 3.3 billion tonnes of CO2 equivalent released into the atmosphere per year, to which must be added significant amounts of agricultural areas (1.4 billion hectares, globally) and water (250km3) used annually to produce food that is lost or wasted. How to meet global food needs (with global population projected to reach 9 billion in 2050) without overexploiting soil and water, and with lower emissions contributing to climate change (whose impacts in turn affect water and food security) is the greatest farming challenge of of today’s and tomorrow’s world. The land under our feet is ancient. Minerals and organic material have mixed together over decades, if not centuries and millennia, to provide the bed upon which our food is grown. The plants which grow in this soil are not only the basis for food and fibre they are also contribute to our supply of clean water and are a storage place for carbon. Land is the key for life and livelihoods today. As the global population increases in the years to come, and as climate change affects the availability of water, with consequences for water and food security, land will become even more important. Dry lands hold a significant proportion of the world’s soil carbon stock, and land degradation contributes to greenhouse gas emissions. Sustainable land management is therefore a key climate change mitigation strategy. Biodiversity conservation and sustainable land management will be critical for managing our ecosystems so that they can support improved water security for food production as well as being more resilient to climate change. Ecosystem-based adaptation, which integrates biodiversity and ecosystem services into an overall adaptation strategy, can be cost-effective and generate social, economic and cultural co-benefits. This approach can contribute to the conservation of biodiversity while providing climate change adaptation benefits. The Tenth meeting of the Conference of the Parties, held 2010 in Japan, adopted the Strategic Plan for Biodiversity 2011-2020 and twenty Aichi Biodiversity Targets, which provide a framework for biodiversity conservation, ecosystem restoration and sustainable land management. In particular, I would like to highlight Aichi Biodiversity Target 15 which calls for the enhancement of the resilience of ecosystems and the restoration of at least 15% of degraded ecosystems, thereby contributing to climate change mitigation and adaptation and to combating desertification. Also relevant are: Target 5 which aims that by 2020, the rate of loss of all natural habitats, including forests, is at least halved and where feasible brought close to zero, and degradation and fragmentation is significantly reduced; Target 7, which calls for areas under agriculture, aquaculture and forestry to be managed sustainably, ensuring conservation of biodiversity; and, Target 14, which aims that by 2020, ecosystems that provide essential services, including services related to water, and contribute to health, livelihoods and well-being, are restored and safeguarded, taking into account the needs of women, indigenous and local communities and the poor and vulnerable. As sister Rio Conventions, the Convention on Biological Diversity and the United Nations Convention to Combat Desertification have many areas of convergence, the most significant being the work to conserve, restore and sustainably utilize dry-land ecosystems. In fact, the Strategic Plan for Biodiversity 2011-2020 and its Aichi Biodiversity Targets provide strong bases for implementing the synergies between the two Conventions at the national level. As we prepare to celebrate the World Day to Combat Desertification let us strive for sustainable strategies that integrate the management of land, water and biodiversity through sustaining ecosystem services. In this way we can combat desertification, help adapt to climate change and achieve the goals of the Strategic Plan for Biodiversity 2011-2020. 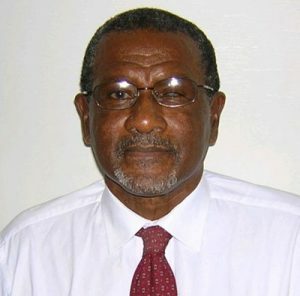 Dr David J. Keeling, Distinguished University Professor of Geography at Western Kentucky University, says “Climate change impacts, both long-term and short-term, are likely to have serious repercussions for Belizean communities without a detailed and comprehensive management plan for accessibility and mobility”. 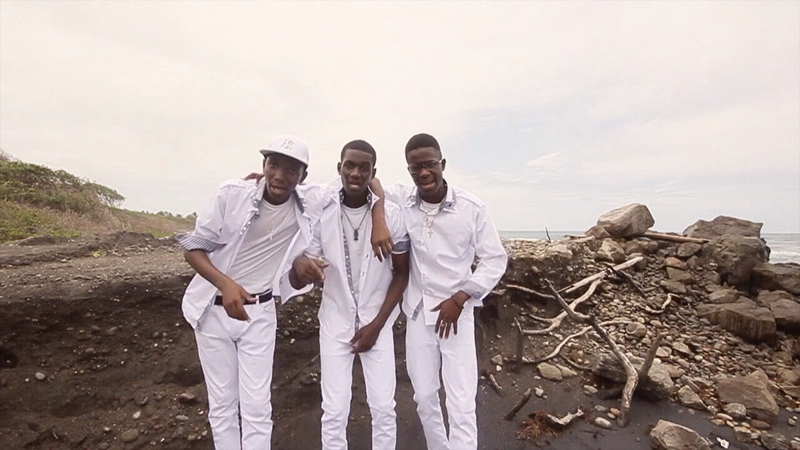 Peruse his exclusive contribution to Caribbean Climate. Links between climate change and transportation may not seem obvious at first glance, especially when considering the broader social and economic impacts of weather shifts over time and space. The short-term effects of climate events such as tornadoes, hurricanes, tidal surges, or flash floods capture the attention of the media, emergency personnel, and these populations affected primarily because of the immediate humanitarian considerations. People need rescuing, emergency shelters must be provided, potable water and food are needed, and emergency services are charged with helping the devastated communities to recover. Without transportation infrastructure, and without the means to provide accessibility to, and mobility within, the affected areas, tragedy would be compounded. Roads especially are critical to this recovery effort, particularly in poorer regions of a country or in more isolated rural areas, because often this is the only basic infrastructure available to connect people to the outside world. A longer view of climate change impacts on people and places requires governments and societies to think about transportation in different ways. Of course, we understand intuitively that transport improvements are critical to socio-economic growth and wellbeing, but this does not necessarily translate into concrete policy in many parts of the world, especially Latin America. In Brazil, for example, Latin America’s most robust economy and most populated country, less than 10 percent of the country’s roads are paved, compared to nearly 60 percent in China or 99 percent in Thailand. In smaller countries such as Belize that have fewer available resources, the transportation challenges are more critical and immediate. Climate change impacts, both long-term and short-term, are likely to have serious repercussions for Belizean communities without a detailed and comprehensive management plan for accessibility and mobility. 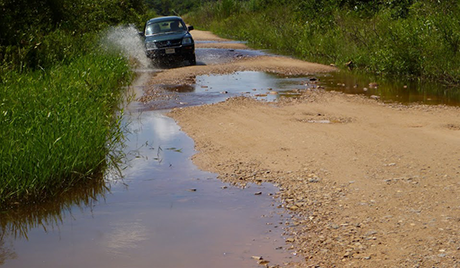 Less than 20 percent of Belize’s roads are paved, many are two-laned only, some are washboard-dirt in composition, and often patched with gravel or sand. 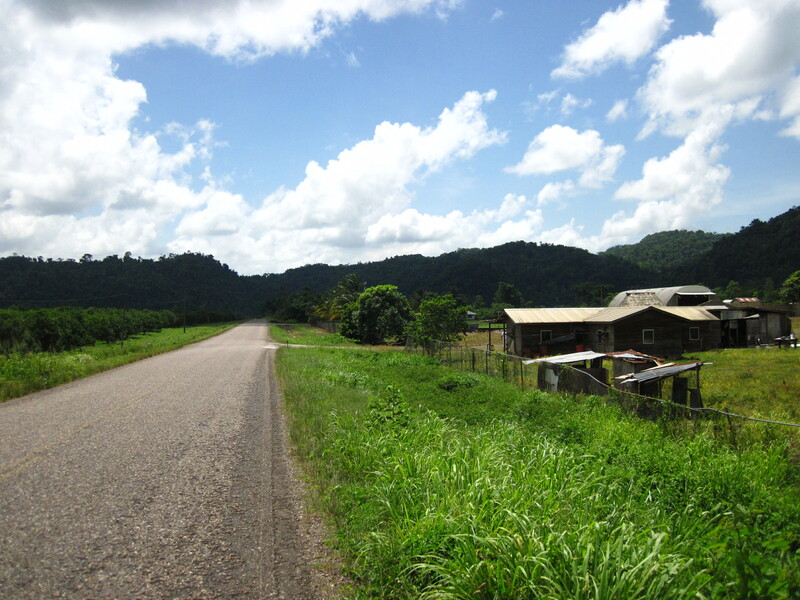 Many Belizean communities are located quite far from major highway access points, and could be viewed as much more susceptible or vulnerable to coastal changes than larger towns and cities. Regional plans for infrastructural improvements under the auspices of the Plan Puebla-Panamá include the Guatemala-Yucatán Axis that aims to improve economic integration and mobility along the Caribbean coast. However, little progress has been made to date, in part because of regional geopolitical differences. Yet local planning for long-term climate change impacts, such as rising sea levels, more intense rainfall, or other climatic shifts, needs to be harmonized with transportation infrastructure challenges in mind. Belize needs to have a comprehensive, forward-looking management plan that anticipates the relationship between climate change, accessibility, and mobility. This is especially critical for the tourism industry and for agriculture, forestry, and other primary economic activities. As climates change, so too do economic opportunities and potentials. In short, Belize is vulnerable to the long-term impacts of climate change in myriad ways. It needs, therefore, a proactive, integrative set of management goals that recognize how transportation infrastructure is inextricably intertwined with socio-economic goals and strategies. Even a small country like Belize can have big ideas and policies that can set the standard for how to manage future climate change.